San Francisco designer Lauren Venell whipped up this beautiful monstrosity, stuffed with all kinds of plush toppings. You know, because who doesn't love a burrito? The best part though? You can wear it! See? 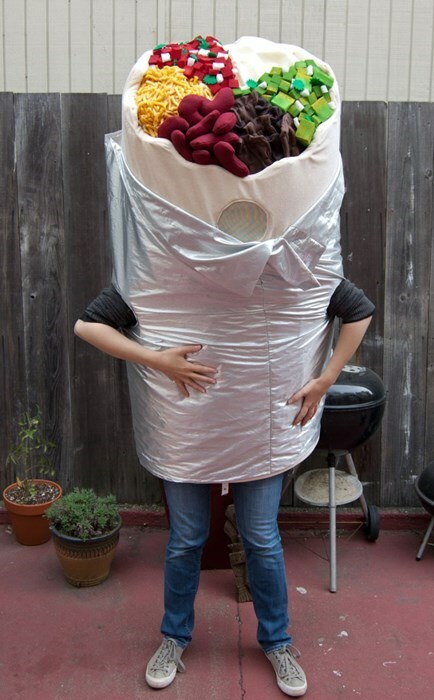 On the internet, no one knows you're actually a burrito. The real question is, can the dress withstand dinosaurs in space?